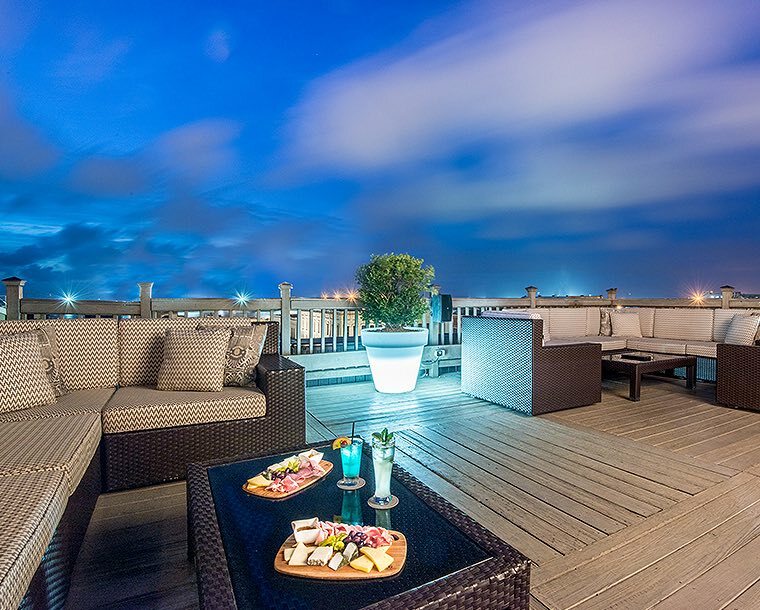 Stay 2 Nights get 20% OFF - Discount is applicable for stays of 2 consecutive nights or more. The Stay 2 save 20% offer is not applicable on existing reservations or group bookings, and cannot be combined with other offers or promotions. This offer is subject to change. Early departures under 2 nights are not eligible for discount and may incur an early departure fee. Offer is subject to availability and void where prohibited by law. 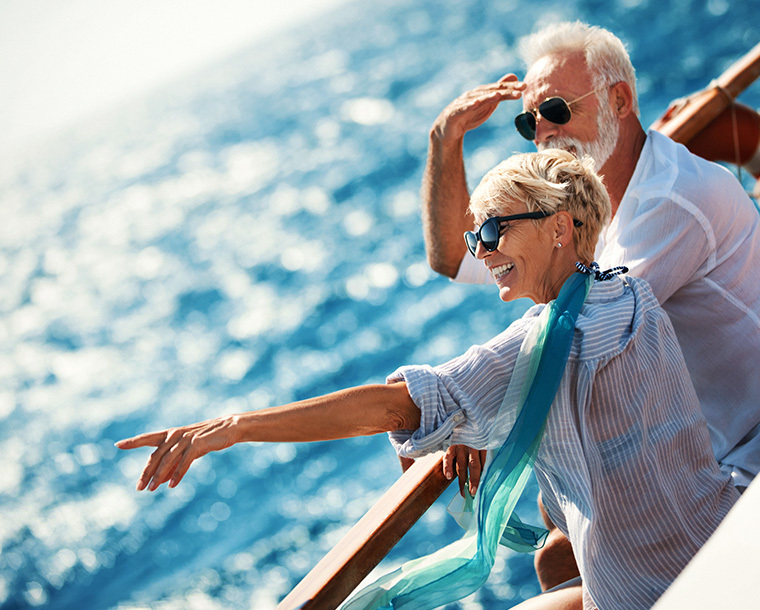 If you're sailing on a cruise out of Galveston, our Park and Sail package is the ideal choice for spending the night before you sail. Park your car for the duration of your trip (up to seven days). 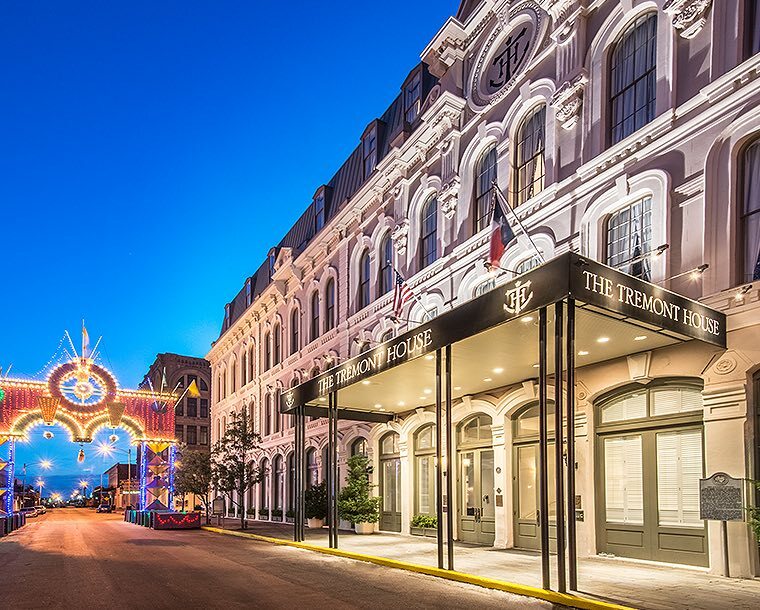 The Park and Sail Package at The Tremont House, A Wyndham Grand Hotel in Galveston, Texas, offers luxurious overnight accommodations, valet parking for your car for the duration of your trip, and shuttle transportation to/from the Port of Galveston cruise terminal. Subject to availability. Rooms at this (discounted) rate are limited and subject to availability. Offer may not be combined with other promotions or special offers. Offer not applicable to prior reservations, groups or conventions. Blackout dates and other restrictions may apply. Rate based on single/double occupancy. Maximum number of guests allowed in room: 4. Taxes and gratuity not included. Offer must be requested at time of booking. 72-hour cancellation policy. No refunds on unused features. Save 10% on our Best Available Rate when you book 7 days in advance, plus get an extra 100 Wyndham Rewards ® points in addition to the points you earn from your stay. If you aren't currently enrolled in Wyndham Rewards, by selecting this rate, you will automatically be enrolled. Wyndham Rewards is a FREE program that rewards you for your stays. Rooms at this rate are limited and subject to availability. Blackout dates and other restrictions may apply. Rate based on single/double occupancy. Taxes and gratuity not included. Cancellation policy: 24 hours prior to date of arrival. No refunds on unused features. Subject to hotel tax. Offer not applicable to prior reservations, groups or conventions. Terms and conditions for Wyndham Rewards apply, view full terms here: https://www.wyndhamrewards.com/trec/consumer/terms.action. Indulge in the perfect romantic getaway at The Tremont House. Our Sweet Escape Package offers overnight accommodations in one of our luxurious rooms, a chilled bottle of champagne and breakfast in bed the next morning. To Book: Please click Book Now button, call (409) 763-0300 or email galvestonreservations@wyndham.com. Tax and gratuity are NOT included: Tax (8.5%) and gratuity (15%) will be added to the bill. Rooms at this (discounted) rate are limited and subject to availability. Offer may not be combined with other promotions or special offers. Offer not applicable to prior reservations, groups or conventions. Blackout dates and other restrictions may apply. Rate based on double occupancy. Taxes and gratuity not included. Offer must be requested at time of booking. 72-hour cancellation policy. No refunds on unused features. Additional nights available at extra charge. Subject to a food and beverage tax. Subject to hotel tax. AAA members can save up to 10% off our best available rate. A valid AAA member ID must be presented at check-in to receive the discount. Accommodations at up to a 10% discount off our best available rate Sunday through Thursday. Valid AAA member ID must be presented at check-in to obtain the special rate. Rooms at this (discounted) rate are limited and subject to availability. Offer may not be combined with other promotions or special offers. Offer not applicable to prior reservations, groups or conventions. Blackout dates and other restrictions may apply. Rate based on double occupancy. Taxes and gratuity not included. Offer must be requested at time of booking. 72-hour cancellation policy. No refunds on unused features. Our Wyndham Breakfast Package includes luxurious accommodations and a delicious breakfast for two. Enjoy the timeless charm and sophistication of one of the country's greatest hotels. 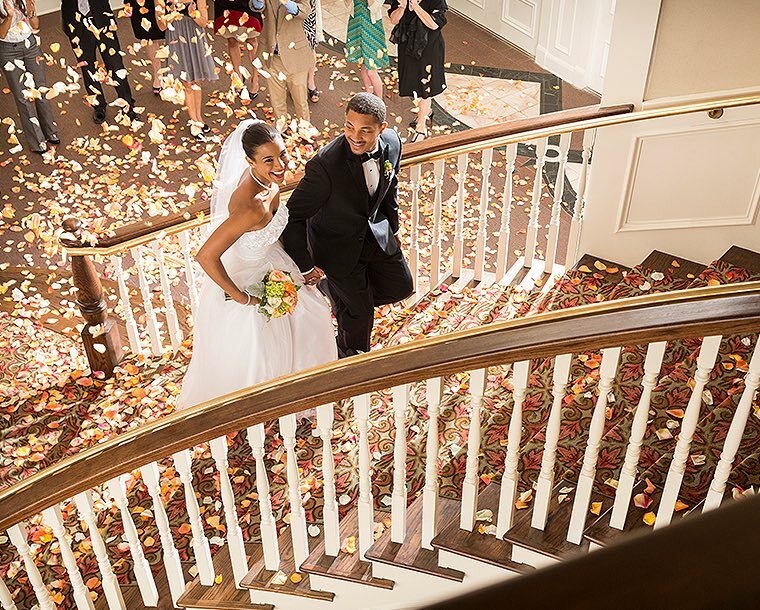 Tax and gratuity are NOT included: Tax (8.5%) and gratuity (15%) will be added to the bill. Rooms at this (discounted) rate are limited and subject to availability. Offer may not be combined with other promotions or special offers. Offer not applicable to prior reservations, groups or conventions. Blackout dates and other restrictions may apply. Rate based on double occupancy. Additional person charge $20.00 (USD) per adult. Taxes and gratuity not included. Offer must be requested at time of booking. 72-hour cancellation policy. No refunds on unused features. Additional nights available at extra charge. Subject to a food and beverage tax. Subject to hotel tax. 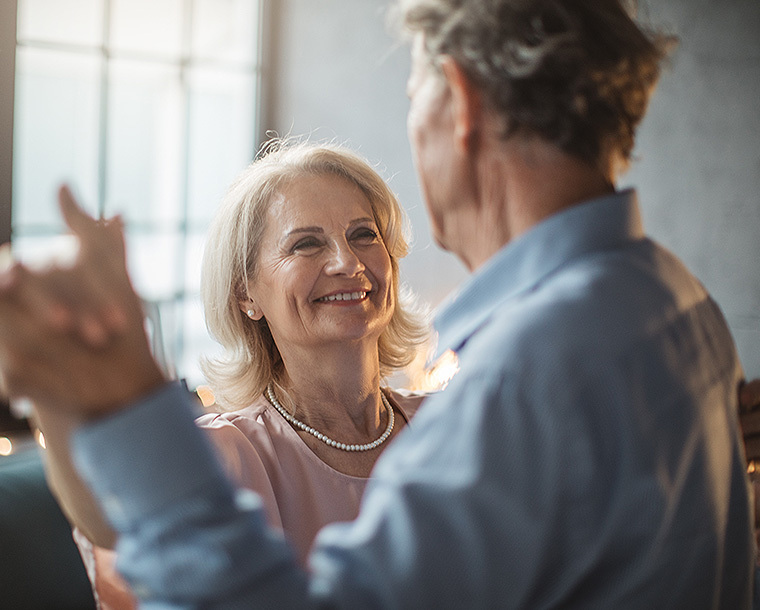 AARP members can save up to 10% off our best available rate. A valid AARP member ID must be presented at check-in to receive the discount. Valid AARP member ID must be presented at check-in to obtain the special rate. Rooms at this (discounted) rate are limited and subject to availability. Offer may not be combined with other promotions or special offers. Offer not applicable to prior reservations, groups or conventions. Blackout dates and other restrictions may apply. Rate based on double occupancy. Taxes and gratuity not included. Offer must be requested at time of booking. 72-hour cancellation policy. No refunds on unused features. 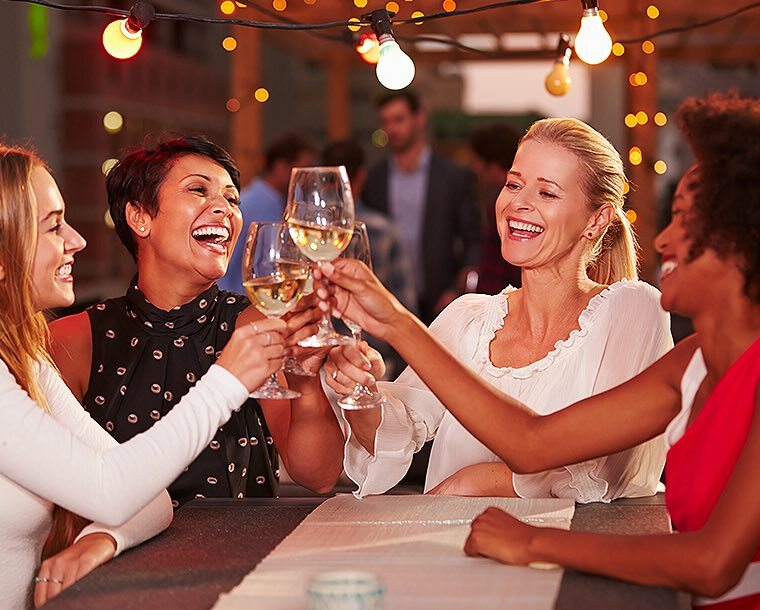 Being near Schlitterbahn Waterpark, the Pleasure Pier, and area beaches makes The Tremont House, a Wyndham Grand Hotel, the perfect family retreat. Our Family Breakfast Package includes deluxe accommodations and a delicious breakfast for two adults and two children (under age 18). 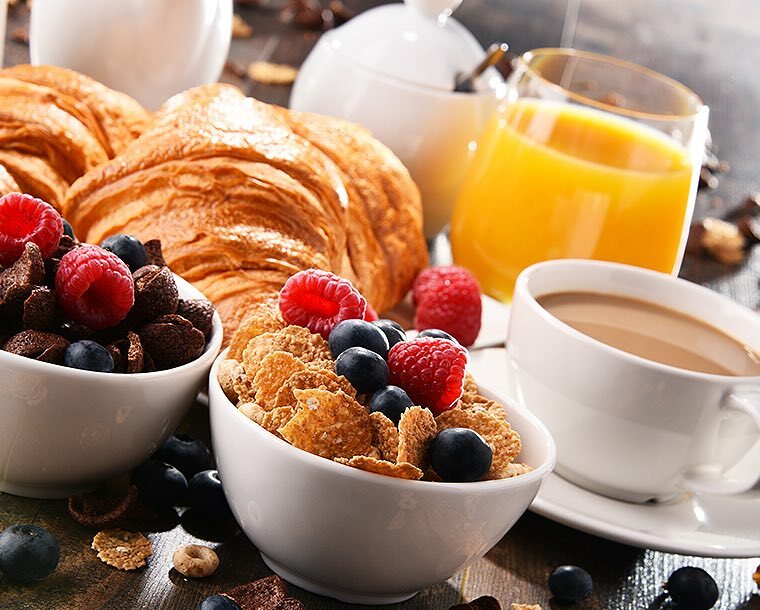 Get a great start on your day while indulging in our premier service and amenities. 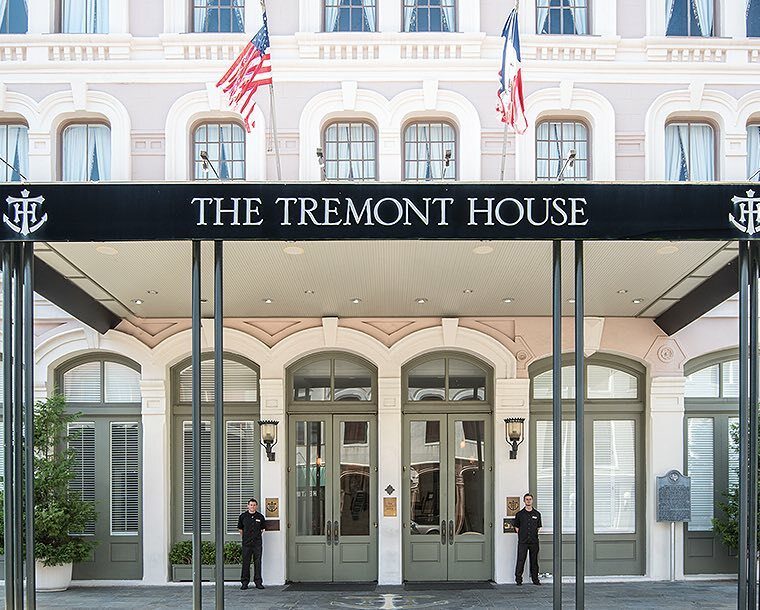 Pop the question at Galveston's most romantic hotel - The Tremont House. Our staff will take care of every detail, so you can focus on your big night. Upon arrival, you and your intended will be greeted with a fresh bouquet of roses. Sip on a bottle of champagne while you snack on chocolate-covered strawberries. 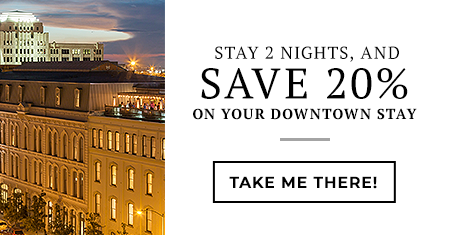 Before dinner, the hotel will arrange for a 30-minute carriage ride through Galveston's historic Strand District. Then the hotel will transport you and your future intended to the historic Hotel Galvez for dinner at the Galvez Bar and Grill. When you return to your suite, you will be greeted with a rose petal turndown service. The next morning enjoy breakfast in bed as you plan your new life together. Subject to availability. Book: Please click Book Now button, call (409) 763-0300 or email galvestonreservations@wyndham.com. This package requires a seven-day advance notice. A pre-arranged time will be scheduled with the carriage company and for round-trip transportation to dinner. Double occupancy required. Rooms at this (discounted) rate are limited and subject to availability. Offer may not be combined with other promotions or special offers. Offer not applicable to prior reservations, groups or conventions. Blackout dates and other restrictions may apply. Rate based on double occupancy. Maximum number of guests allowed in room: 2. Taxes and gratuity not included. Offer must be requested at time of booking. 72-hour cancellation policy. No refunds on unused features. Additional nights available at extra charge. Subject to a food and beverage tax. Subject to hotel tax. The Tremont House has partnered with our neighbor, Zipp E-Bikes, to offer guests a discounted half-day electric bike rental for two. 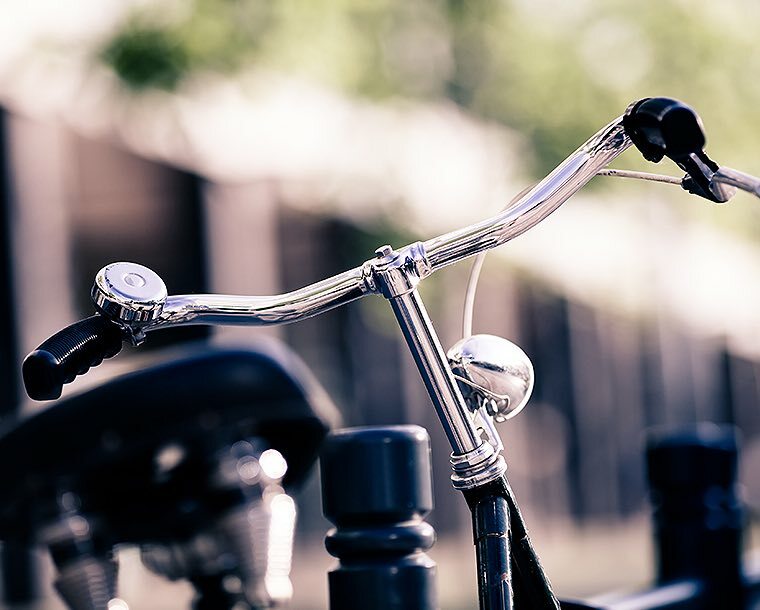 You and your partner will have access to these fun electric bikes for a total of four hours, allowing plenty of time to explore the East End Historic District. Enjoy a ride on Galveston's Seawall or any route you choose. Electric Bikes have compact electric motors built into the hub of the back or front wheel (or mounted in the center of the bike and connected to the pedal sprocket). Thick copper coils of wire convert electric power from the battery into the movement that pushes you along. Do You Have To Have A Driver's License? E-bikes cannot travel faster than 20 mph. Fully operable pedals are required on e-bikes. No driver's license, vehicle insurance, or vehicle registration is required. Operators must be 12 years of age or older.